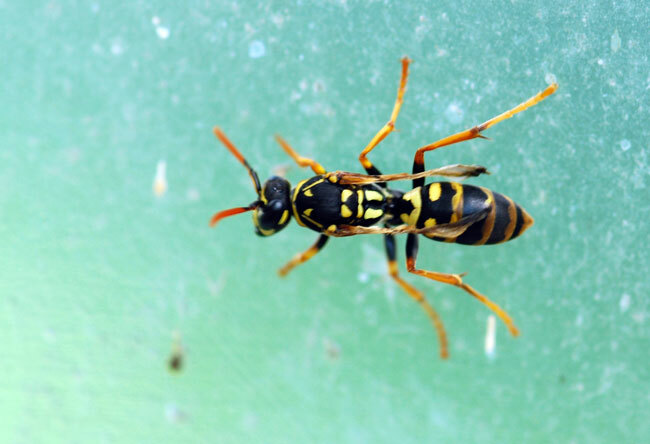 At first glance, this little wasp might look like a yellow jacket. That is, until you spot the bright orange antennae. It is actually a European paper wasp, Polistes dominula. 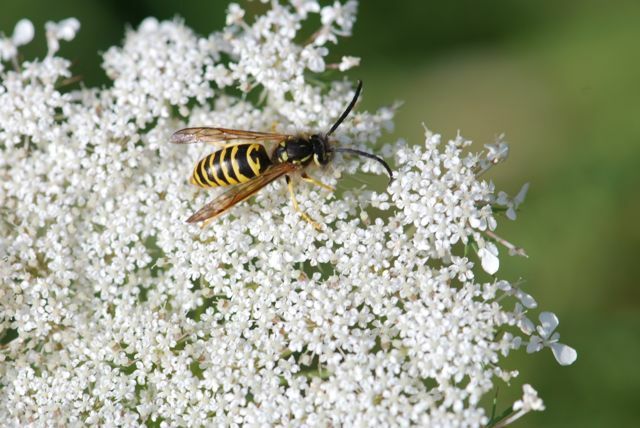 The European paper wasp showed up on the East Coast of the United States in the late 1970s or early 1980s. It has been spreading across North America since. These wasps build their paper nests out of processed wood bits. They nest under eaves and in similar areas around houses. 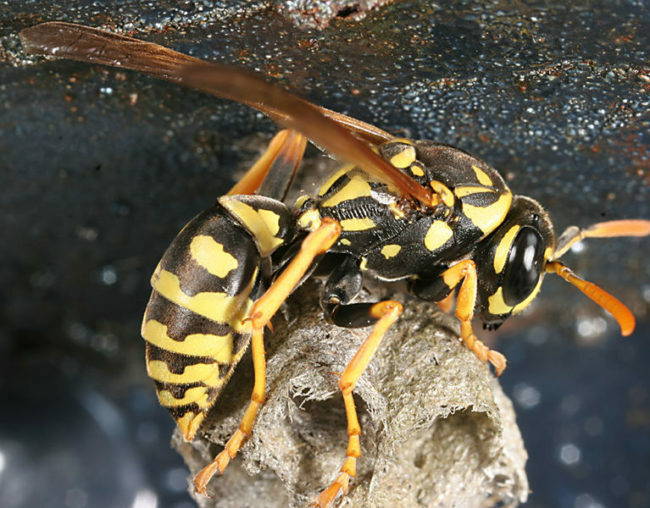 Paper wasps are less defensive than yellow jackets, for the most part, unless a person gets close to their nest. In contrast, the eastern yellow jacket, Vespula maculifrons, has black antennae. They nest underground and can be quite defensive if disturbed. I'm not sure why the paper wasp in the top two photographs has a brown discoloration on the abdomen. It also looks like the wings are damaged. It was trapped inside a greenhouse, where maybe it was looking for weathered wood to build its nest? Perhaps it hurt itself trying to get out? 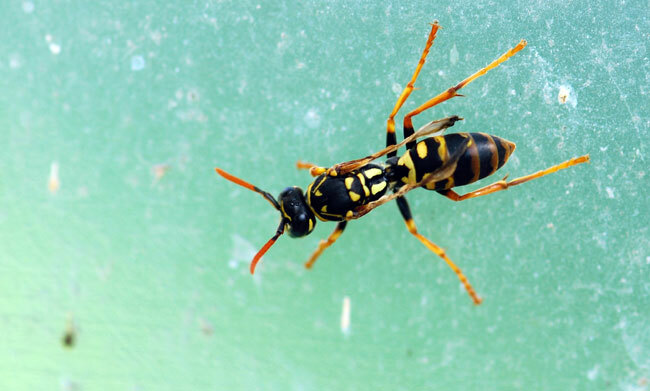 Have you ever seen European paper wasps where you live?